There's no denying a certain other Superhero movie may be sucking up all the oxygen in the room this week, but unlike that particular juggernaut, opinion about Deadpool has been universally positive. After a bit of a false start in X-Men Origins: Wolverine, Ryan Reynolds' ceaseless determination in bringing the Merc with the Mouth to the big screen has finally paid off, with a movie that's as loyal to the source material as it is crass and vulgar, albeit in the most charming way possible. 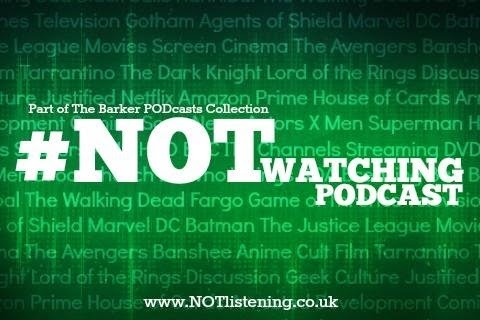 It's all about the ultraviolence and toilet gags on this week's #NOTwatching Podcast, as we spoil the Negasonic Warhead out of Deadpool!